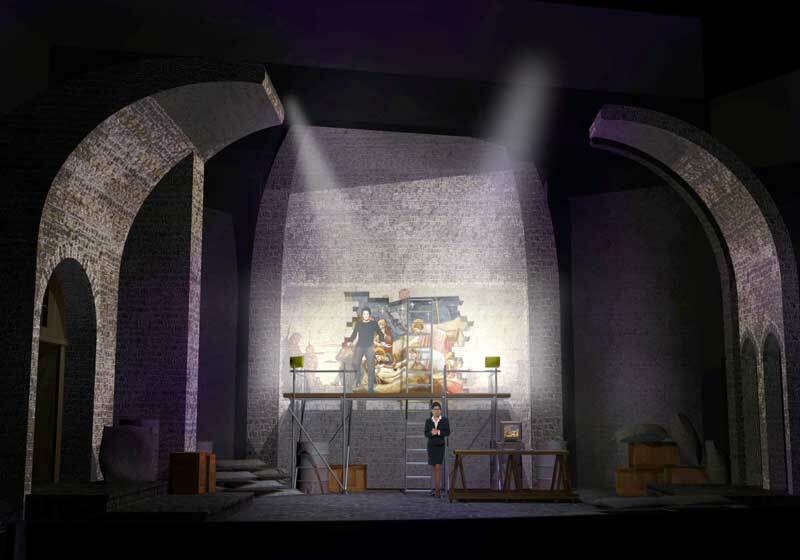 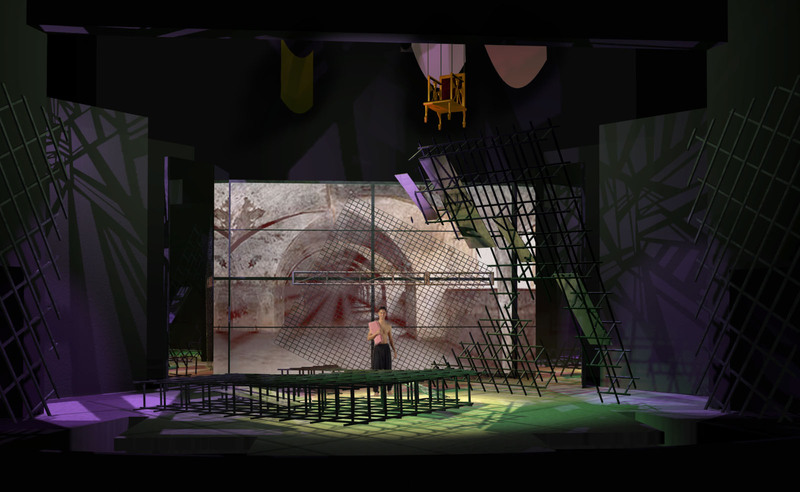 Digital Rendering of a set for the play Pentecost produced by Northern Illinois University. 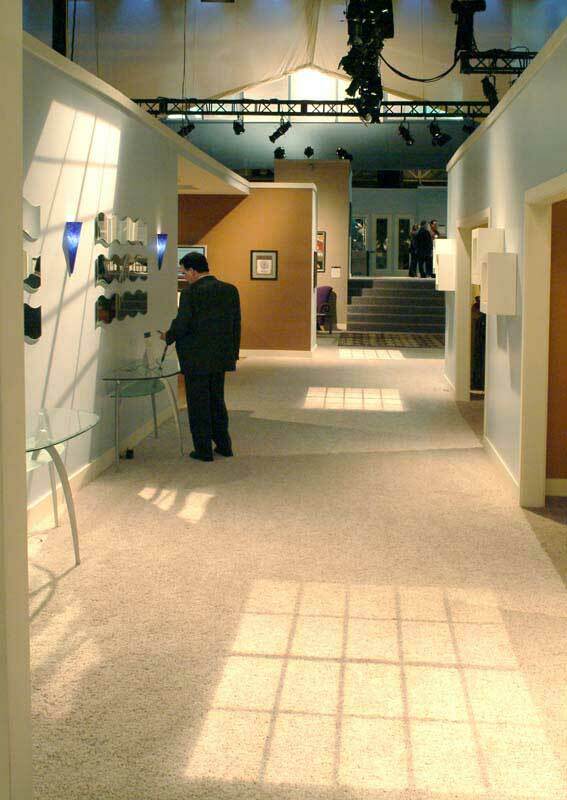 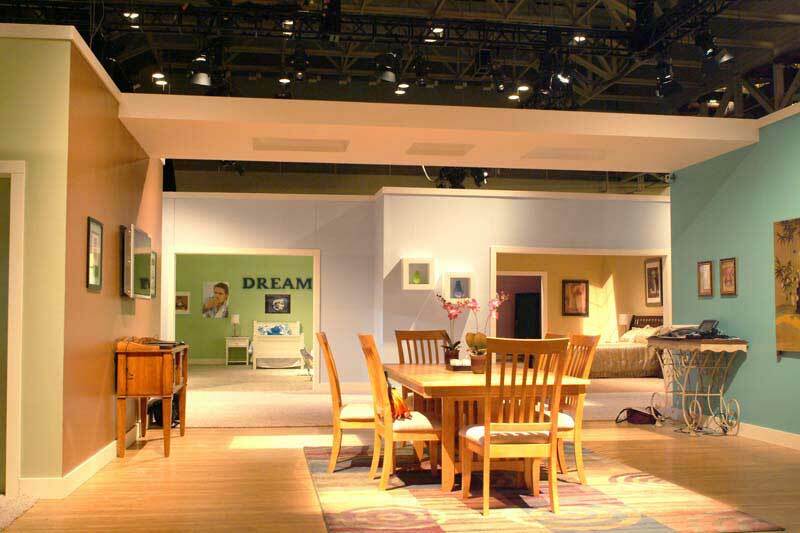 Digital Rendering of 2005 CTIA Wireless Home exhibit and stage. 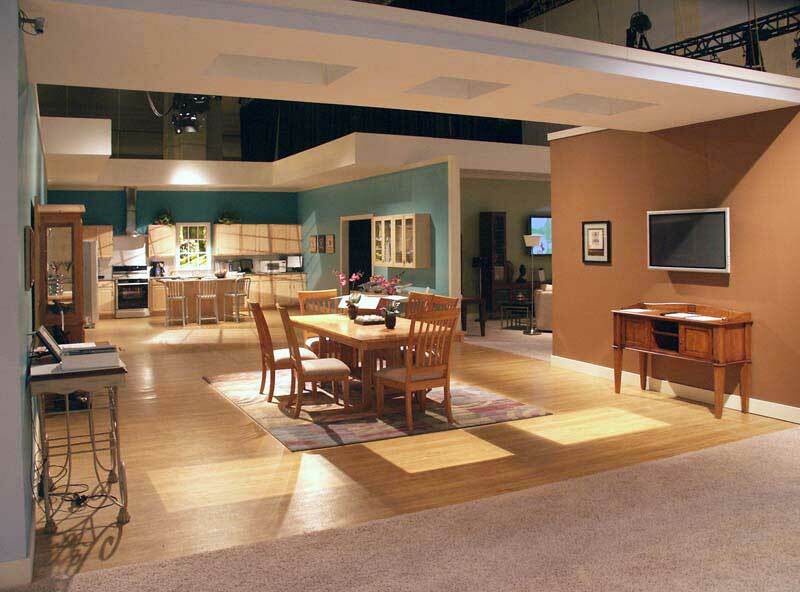 This is a 7000 sq ft house of which the back rooms were raised to become the general session stage. 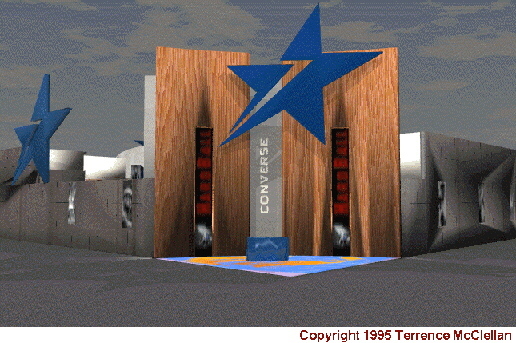 Thisis the front of the house. 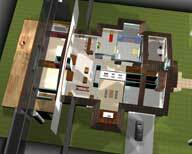 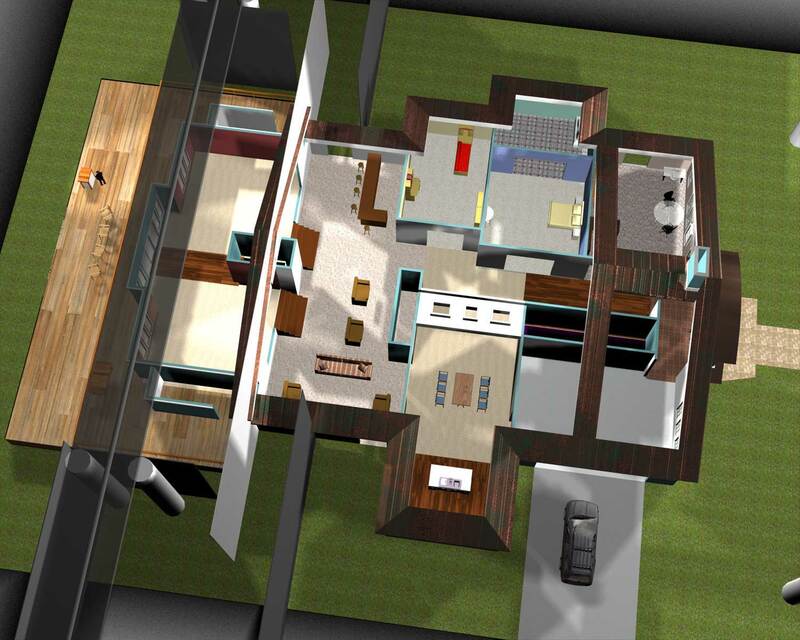 Digital Rendering of CTIA Wireless Home from above. 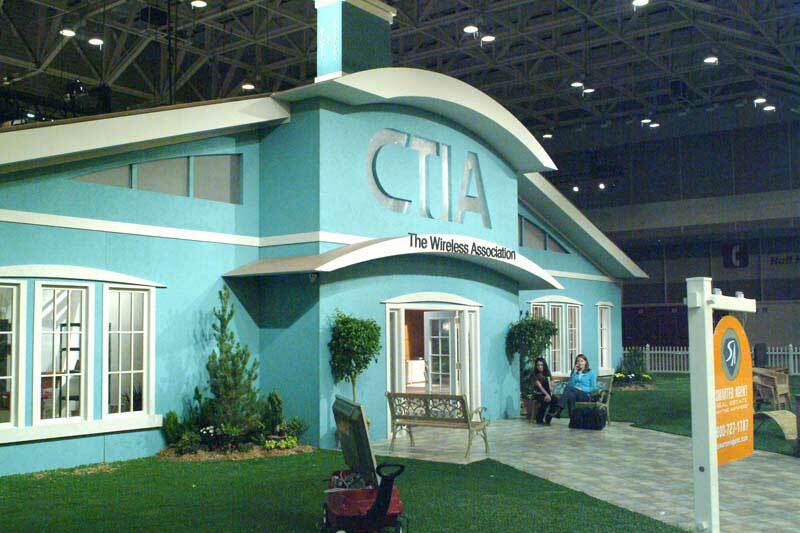 Digital Rendering of CTIA Wireless Home stage side. 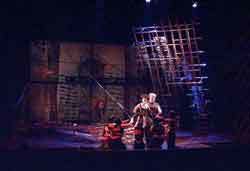 Production photograph of the front of the house. 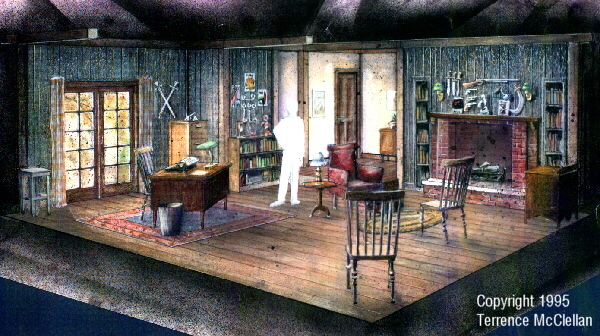 Production photograph of the house interior. 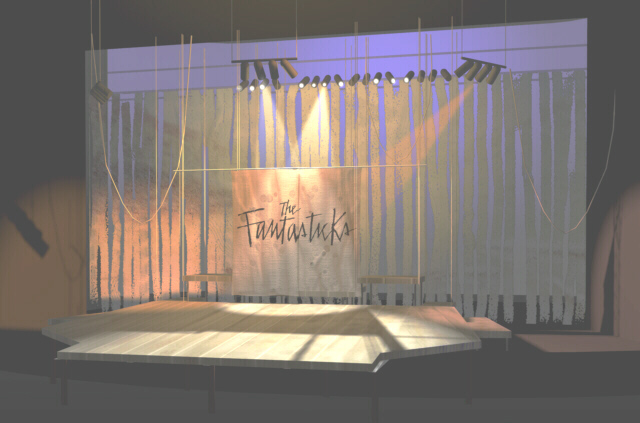 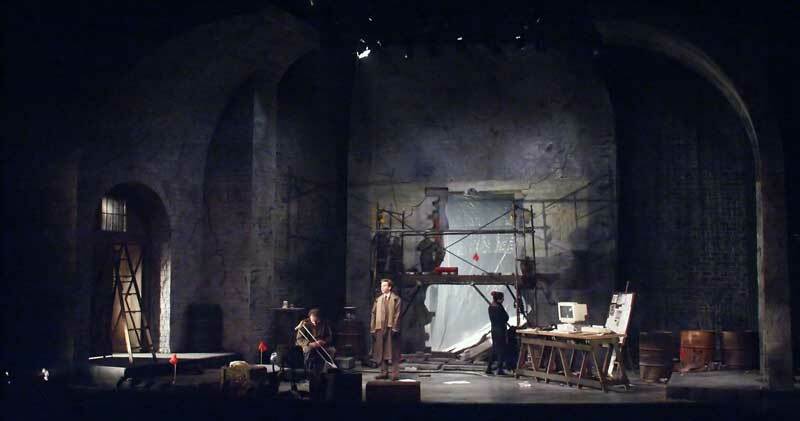 Rendering of the pre-show set for The Fantasticks produced by the School of Theatre and Dance, Northern Illinois University. The second image shows the set coming to life as the lighting trusses that were on the stage move into position above the stage. 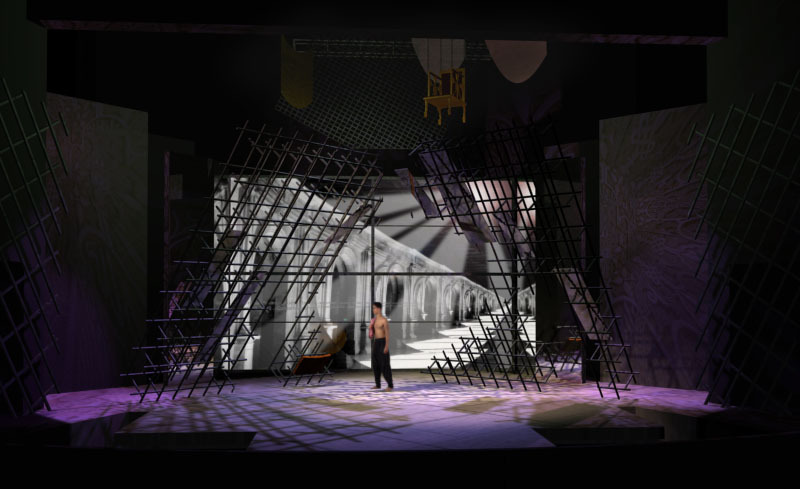 Transluscent screens in the truss and elsewhere take images. 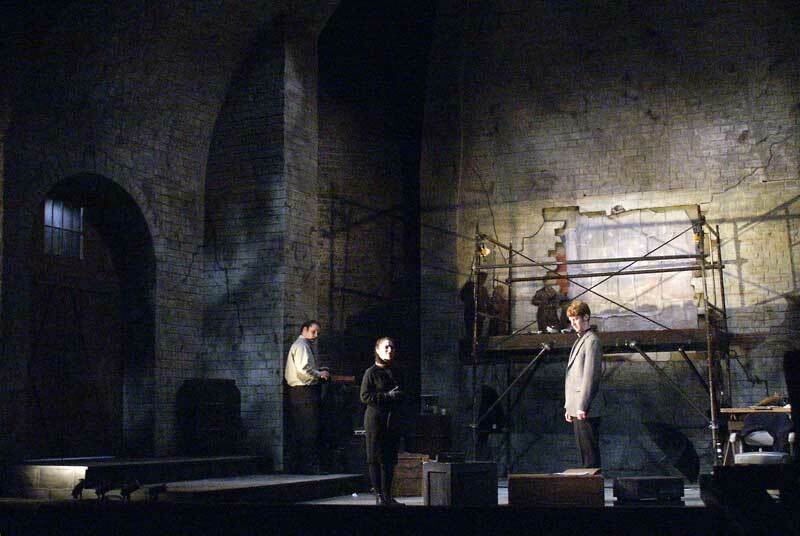 The Upstage image is a video projection. 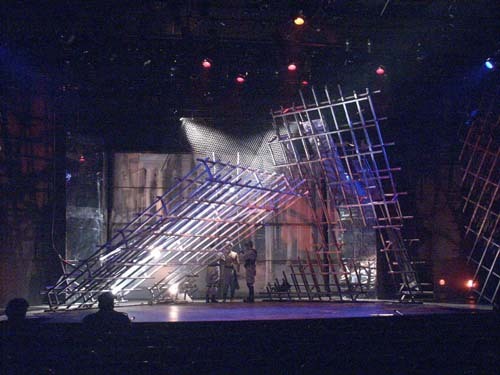 The pieces are all in place and the show is in progress. A rear screen S.L. 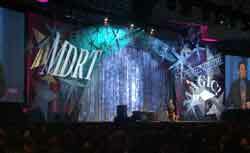 is now taking the video projection. 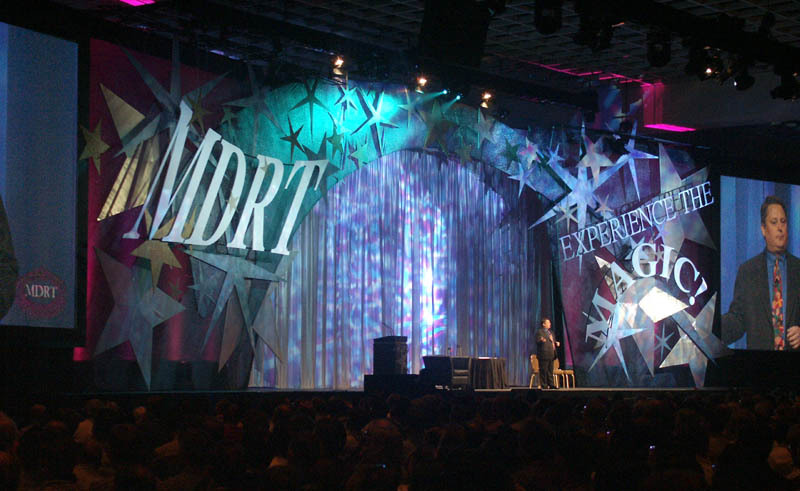 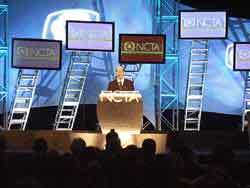 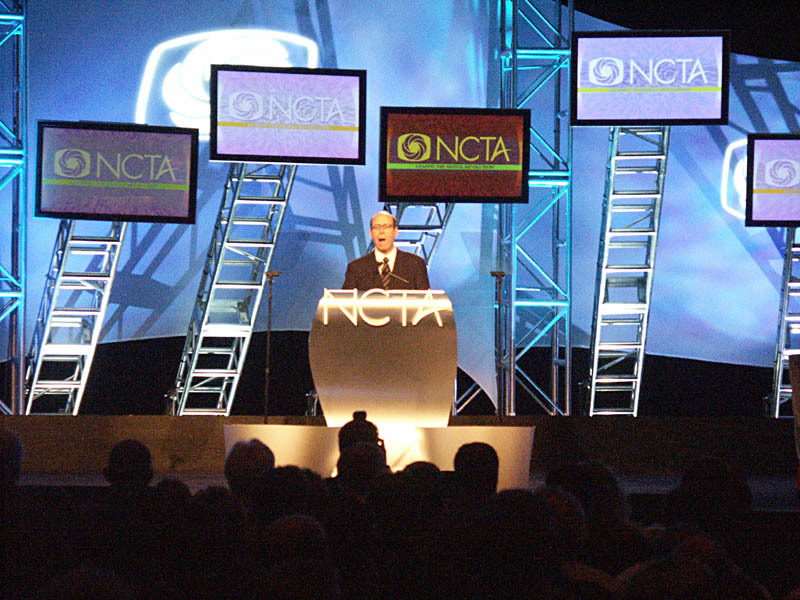 Digital Rendering of Industrial Show Set for NCTA 2003 featuring stretch fabric and monitors on articulated truss. 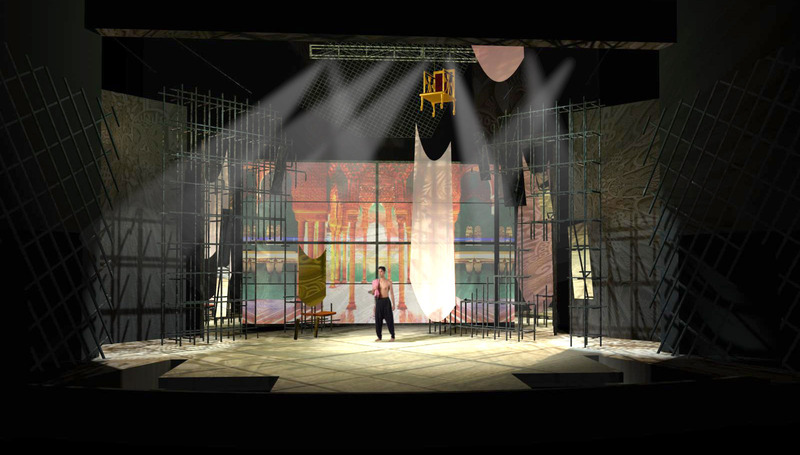 Digital Rendering of a set for the play Mourning Bride produced by Northern Illinois University. 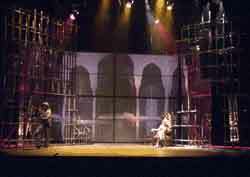 The set consists of moving walls of still grids and an upstage projection screen. 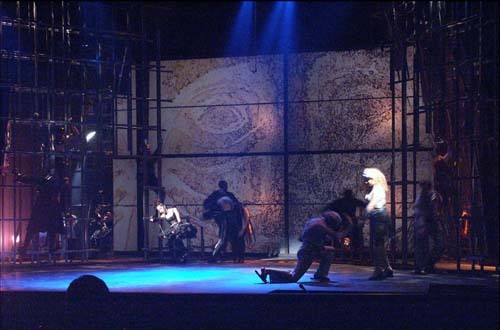 Projection system and images by Scenographix. 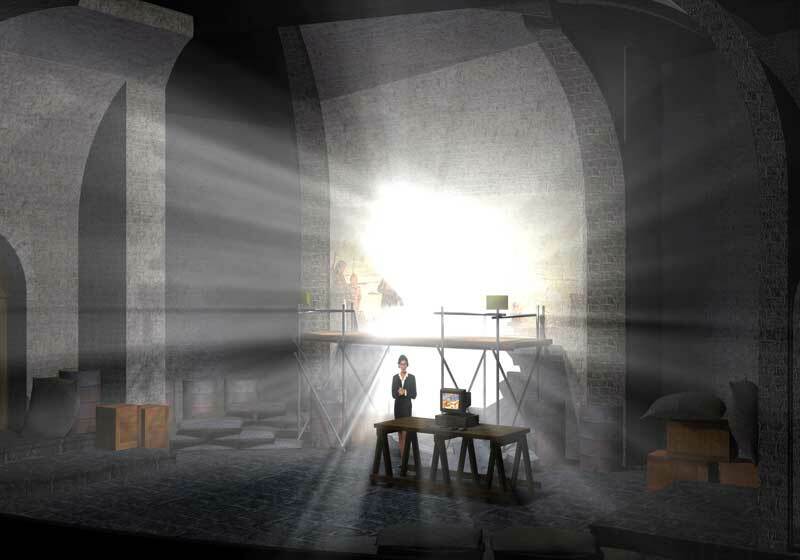 Digital Rendering of a set for the play Mourning Bride produced by Northern Illinois University. 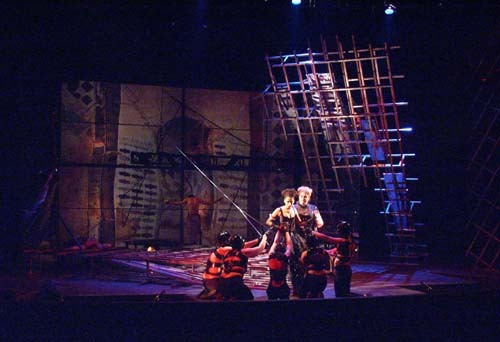 Production photograph of the play Mourning Bride produced by Northern Illinois University. 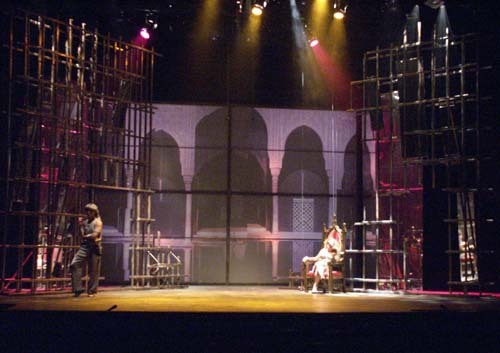 More Photographs of Production by or supervised by Scenographix prinicipals. 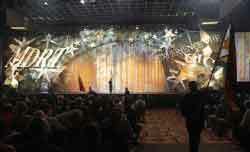 All images Copyright by Scenographix.